Thank you for helping us raise more than $3.2 million! Your gift to Lights of Hope directly impacts hundreds of thousands of British Columbians each year. The annual Lights of Hope display takes six weeks to build by over 150 volunteers using donated materials. This 20 second time lapse shows the volunteers hard at work followed by our traditional fireworks show. 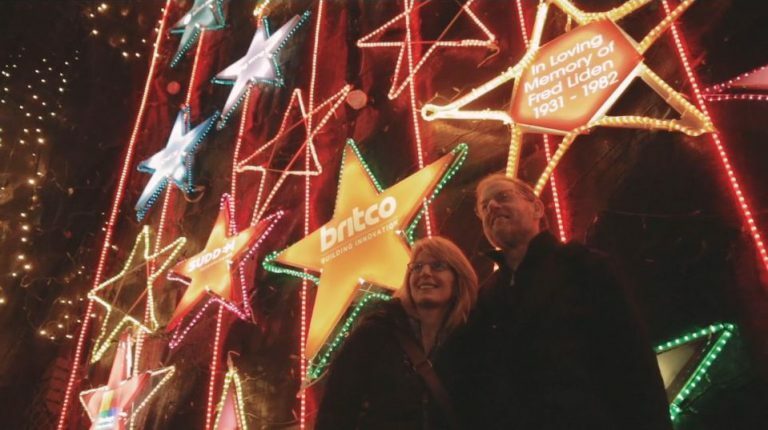 The display features over 10km of lights, 100,000 bulbs and hundreds of sponsored stars and marks the beginning of the holiday season for many in our community. It is also our biggest fundraiser of the year and the patients at St. Paul’s appreciate your donation, large or small. 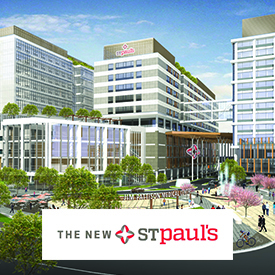 Since 1998, we have recognized donors to Lights of Hope and inspired the community to show their support through a spectacular display of lights on St. Paul’s Hospital. Today, Lights of Hope is a holiday tradition that brings hundreds of thousands of visitors to St. Paul’s to see the display. The display is built by hundreds of volunteers using donated materials – including 10 kilometres of lights! 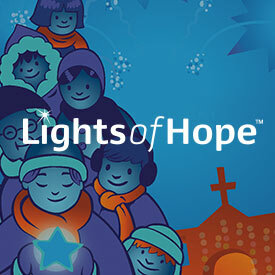 According to BC Hydro, despite its size and scope, Lights of Hope uses very little energy. A big part of this energy efficiency is the use of LED bulbs, which account for 60% of the lights. To operate the full display results in an energy bill of just $65 each night.